With an 8 qt. 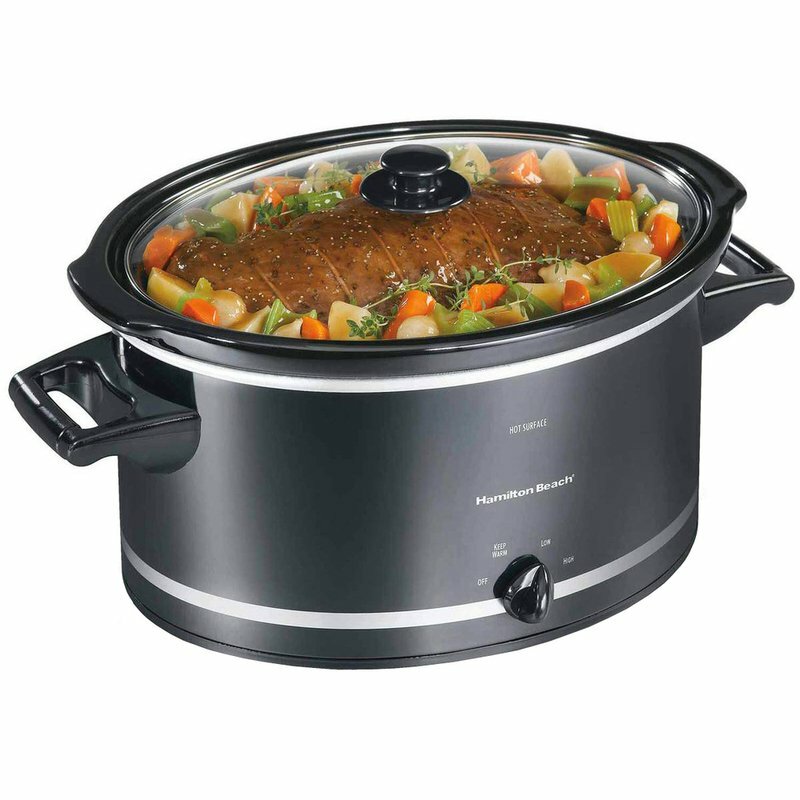 capacity, this slow cooker is ideal for families or feeding a crowd. It can easily accommodate a 6 lb. roast or an 8 lb. chicken. It is also perfect for bringing chili to a potluck or for sharing your latest and greatest dish with friends. It features low and high cook settings and a warm setting, ideal for buffets or when dinner ends up later than you planned. The mess-free lid rest holds the lid up securely and directs drips back into the dish. Full grip handles make it easy to carry and both the stoneware and glass lid is dishwasher safe. Cook home-made meals for your family without having to spend the whole day in the kitchen …now that’s Good Thinking®.